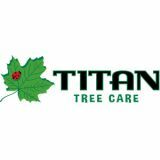 Titan Tree Care - Titan Tree Blog - Can Improper Pruning Hurt Your Trees? As summer winds down and cooler weather arrives, it's time to assess tree health and make a plan for pruning your trees. Many trees benefit from pruning while they’re dormant in winter or early spring (although mesquites prefer summer pruning). Proper pruning helps your trees, but it can do more harm than good when performed improperly. We see a lot of poor pruning practices in the Anthem area, leading to deformed, unhealthy and structurally unsound trees. A common (but improper) pruning practice in our area is to simply lop off the top of the tree to reduce its size (called “topping”). Some people resort to topping because they want quick results when a tree is nearing power lines or structures. But their short-term fix leads to long-term problems. Cutting the main branches leaves the trunk vulnerable to damage and disease, and removal of that many leaves in the tree's canopy opens up the plant to sun scald on parts of the trunk. In addition, leaves bring trees their energy, so a topped tree receives little to no nutrients. Furthermore, topped trees tend to form waterspouts below where the cut is made. These are not strong branches and can eventually be dangerous, plus they grow quickly so the tree will soon need to be pruned again. Another thing we often see is “lion-tailing”, where all the interior growth is pruned away, leaving long branches with leaves only on the ends. This misguided attempt to “open up the tree” so wind can pass through it only results in long, thin branches that get whipped around during storms, often snapping off near the base. Both of these pruning methods set the tree up for failure. In fact, many of the trees damaged or brought down this monsoon season were pruned this way and, as a result, weren’t able to withstand the strong winds. If you’ve ever noticed cut branches with torn bark, or large stubs left from pruning cuts, then you’ve seen examples of improper pruning. In both these situations, the tree becomes vulnerable to pests and diseases that reach the interior of the tree through the poor pruning cuts. The end result is either extensive treatment to save the tree, or a slowly dying (and disfigured) tree. Another problem we see is branches that have been cut too close to the trunk. Pruning cuts should be made above the branch collar, which is the swollen area just above where the branch connects to the trunk. When the collar is damaged or removed, the tree is unable to properly heal the pruning cut, leaving it open to attack by pests or disease. **To properly remove a large branch, first cut part way through at #1, then remove the branch entirely at cut #2. Finally, remove the stub with cut #3 being careful not to cut into or damage the branch collar. To keep most trees safe and healthy, pruning is generally designed to encourage growth of a single trunk. Some native desert trees, such as Desert Museum Palo Verde (Cercidium) and Desert Willow (Chilopsis linearis), are exceptions. But you still want to trim these trees from the bottom up, not the top down, and ensure strong central growth. To help a tree develop a strong central leader (dominant trunk), trim off the weakest competing leader while a tree is young. Continue to trim lower branches that are growing aggressively before they reach more than one-third the trunk's diameter. Concentrate mostly on dead branches or those that cross or rub another branch. Choose to keep side branches that form about a 30-percent angle with the main trunk (picture 10 o'clock and 2 o'clock positions). On smaller branches, cut about one-fourth inch above a bud that points in the desired direction (usually away from the trunk). It is best not to trim more than one-third of a tree's crown each season. Keep trees regularly trimmed to help control growth and maintain health. A tree care professional can help reduce tree height when necessary with special pruning methods, such as crown reduction. There is no need to paint or otherwise protect a pruning cut, assuming you made a clean cut with sharp, clean tools and at the right time.